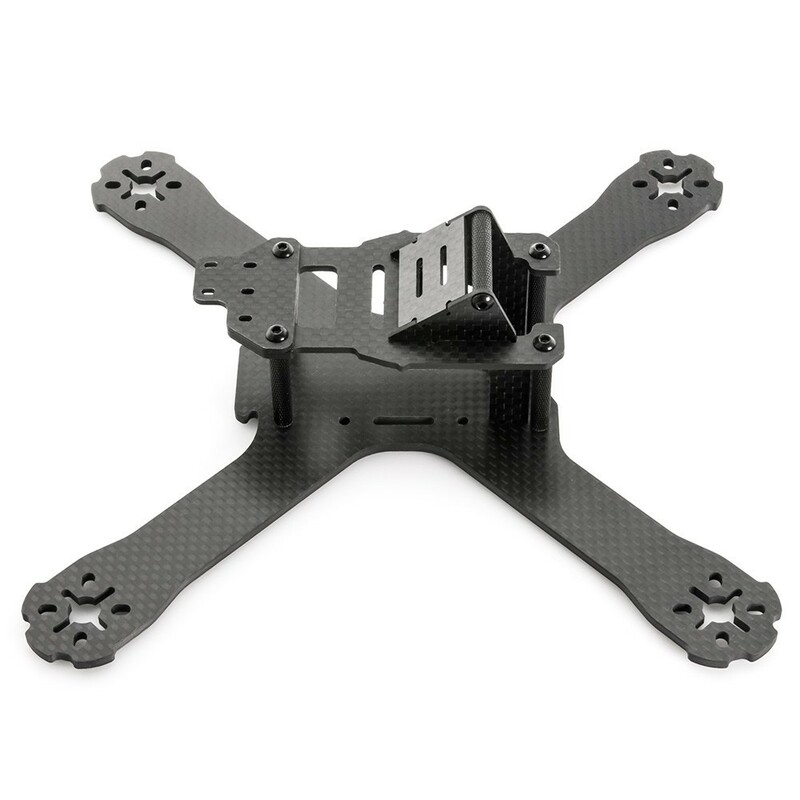 The Lumenier QAV-X CHARPU FPV racing quadcopter 4mm is a symmetrical X frame, which is lightweight, super stiff and finely tuned for high performance FPV Drone Racing. The QAV-X CHARPU was designed & created in collaboration with and named after the World-Famous Lumenier team pilot CHARPU. This racing airframe is stripped down to the bare essentials without sacrificing strength and durability need when flying on and sometimes a little beyond the edge. 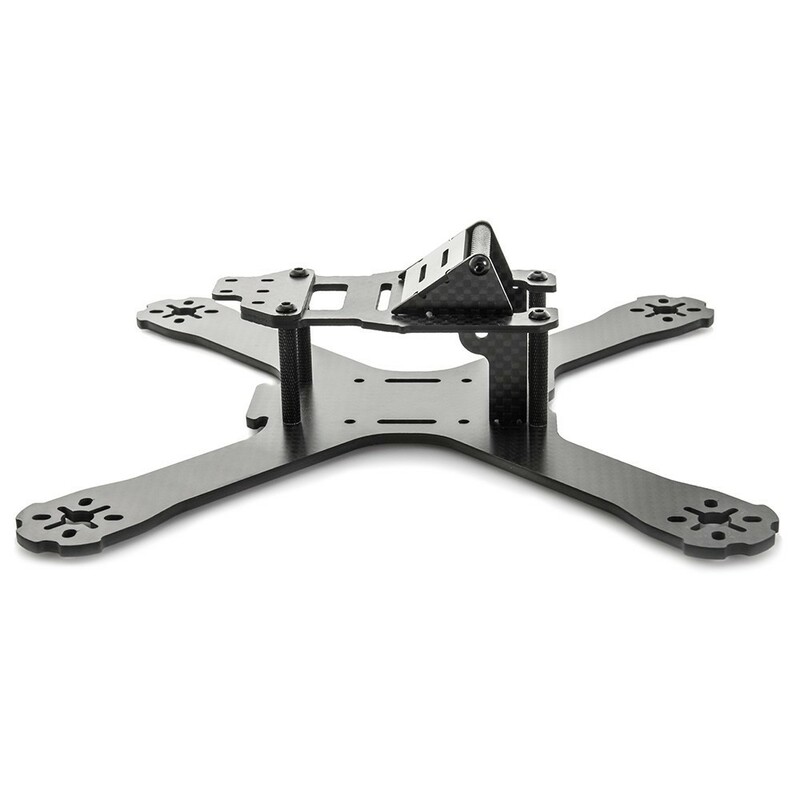 The QAV-X CHARPU features a unique FPV camera and HD mounting system, with the FPV camera being protected by the top cross bar and recessed partially below the top plate this allows for greater protection of the camera and electronics. 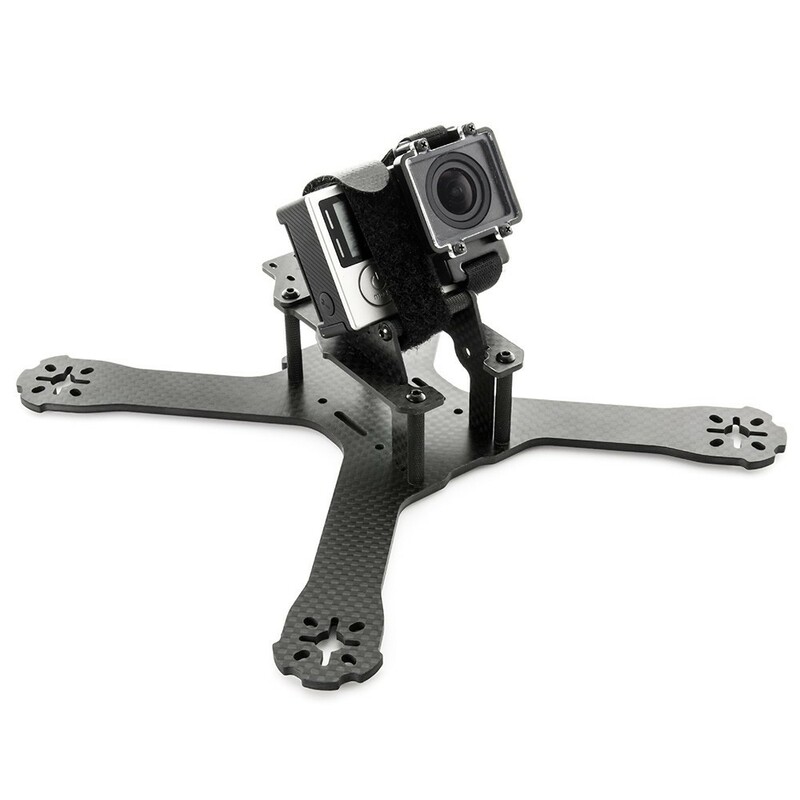 The QAV-X camera side walls act as an angled wedge to set your HD camera angle for recording, such as a GoPro, at a 35 degree angle it should allow you to view your flights. No need to 3D print custom mounts to angle up your camera anymore, just add some of the included neoprene foam and securely strap down your camera and fly! 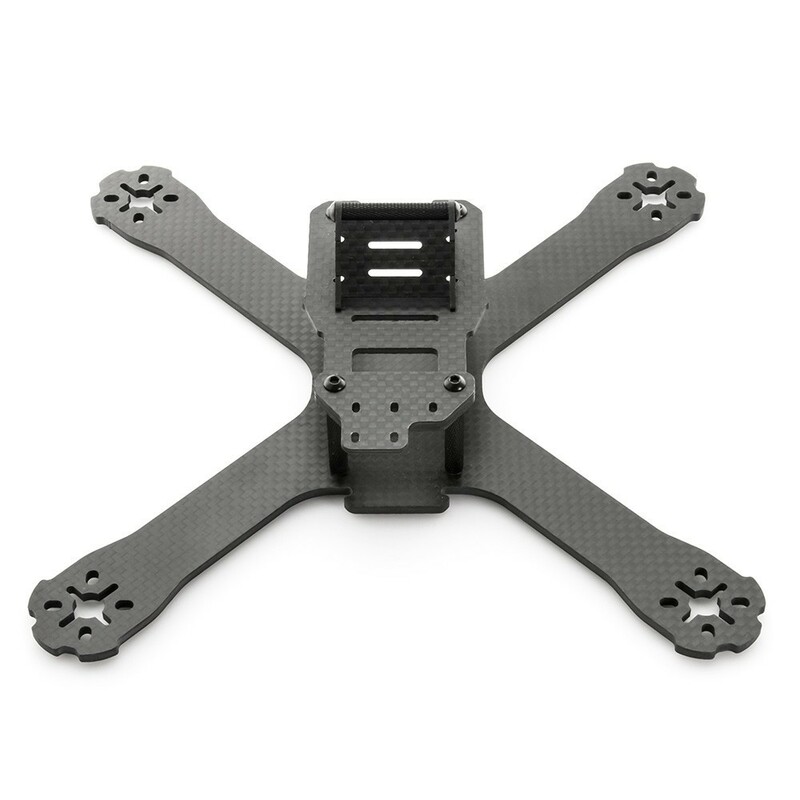 The main "unibody" is a 4mm plate, this is CNC milled out of a solid sheet of premium Lumenier carbon fiber. 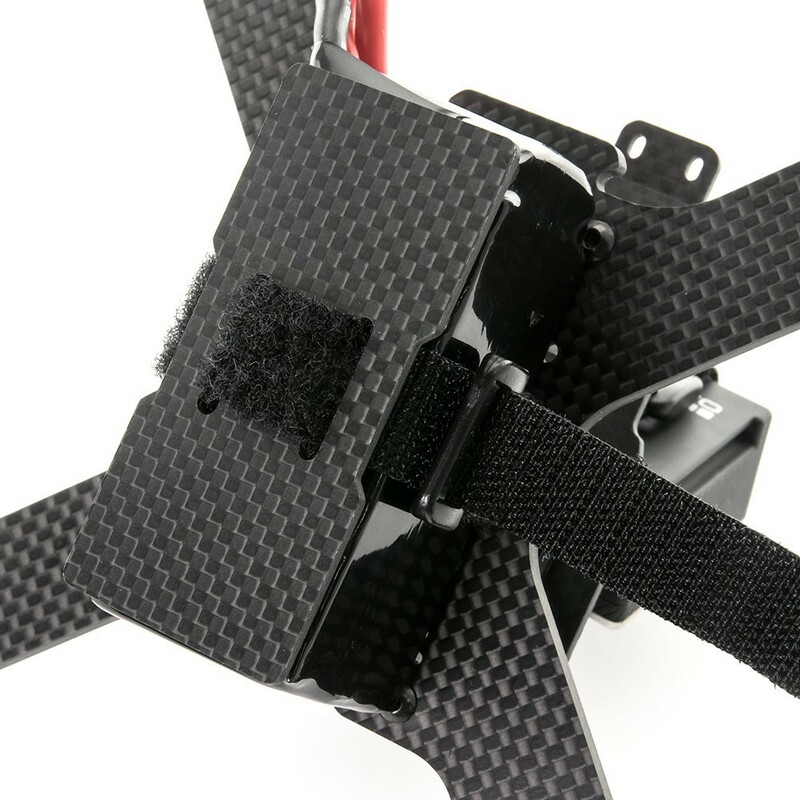 The outer weave of the carbon fiber runs 100% down each arm of the QAV-X (0/90 weave), laying the weave in this way maximises the strength of the carbon unibody and arms. The center layers are offet at 45 degrees providing even and balanced strength throughout the entire plate. 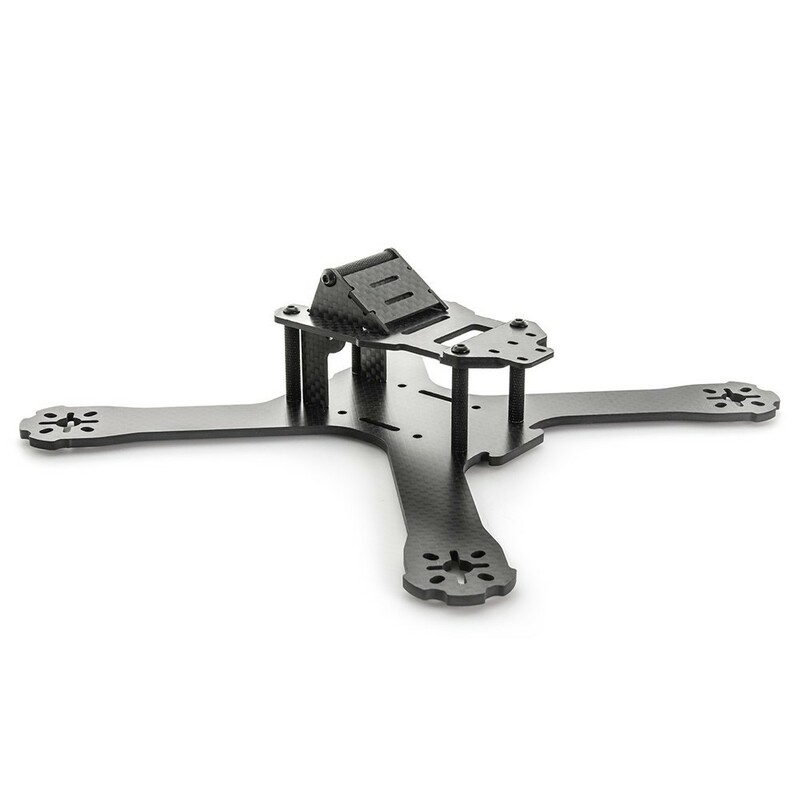 The top QAV-X plate includes an accessory antenna extension plate, this allows for multiple cable ties to lock down your antenna in place. No more damaging of the SMA connection on your VTX. The top plate has a cut-out allowing access to your VTX button and LED displays for easy channel adjustment. There are balancing bumps on the sides of the top plate, this makes it easy to measure the center of gravity on your frame in the field to get the perfect balance. 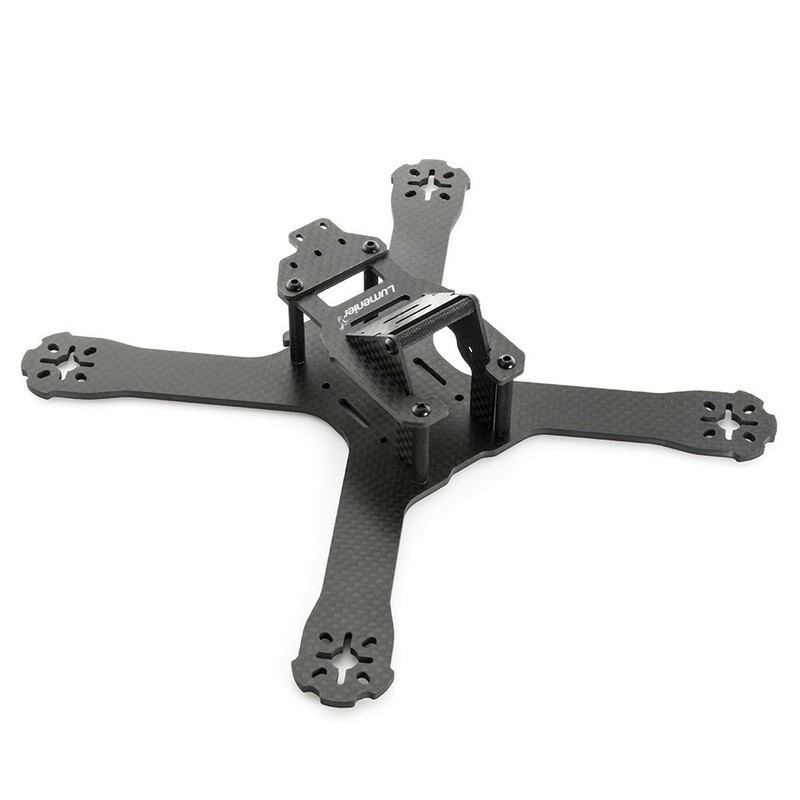 Each Lumenier QAV-X CHARPU FPV racing quadcopter kit includes a carbon fiber battery protector plate. The airframe is designed to strap a LiPo battery to the bottom, leaving the battery exposed during a hard landing or crash. Use this included plate to wrap underneath the battery, sandwiching the pack between the main plate and protector plate. Additionally, you can use the included Neoprene foam to create a landing pad on the bottom of the battery protector plate. This will help keep the airframe upright during take off and landings. 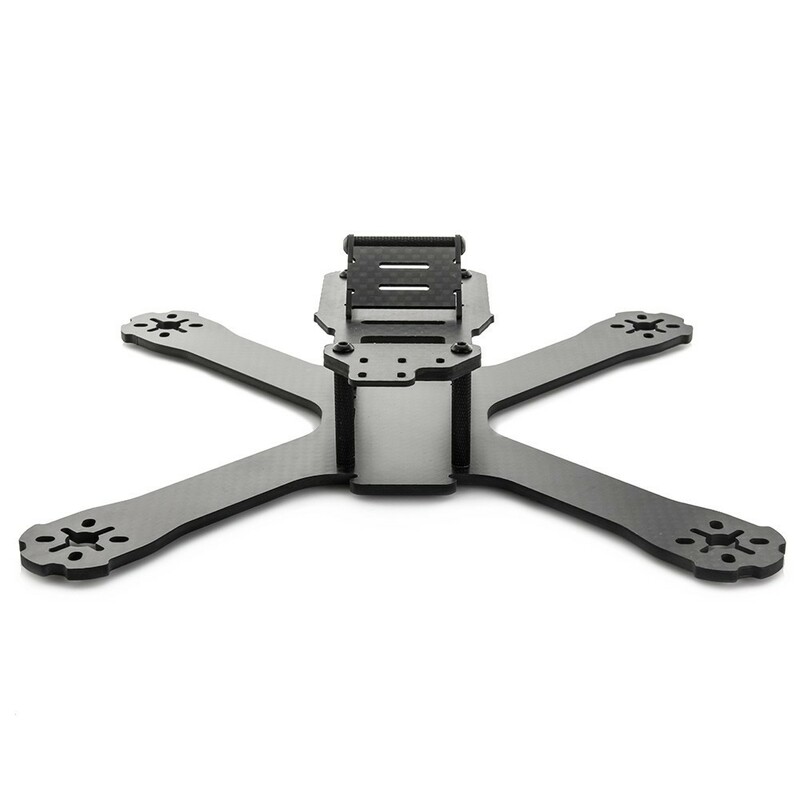 The airframe comes with high quality aluminum hardware. All screws are premium, black oxide steel. The spacers have a textured grip surface treatment, which facilitates holding of the spacers during assembly and servicing of the airframe. The spacers are also 28mm tall vs the standard 35mm. This gives the airframe a sleek low profile look. 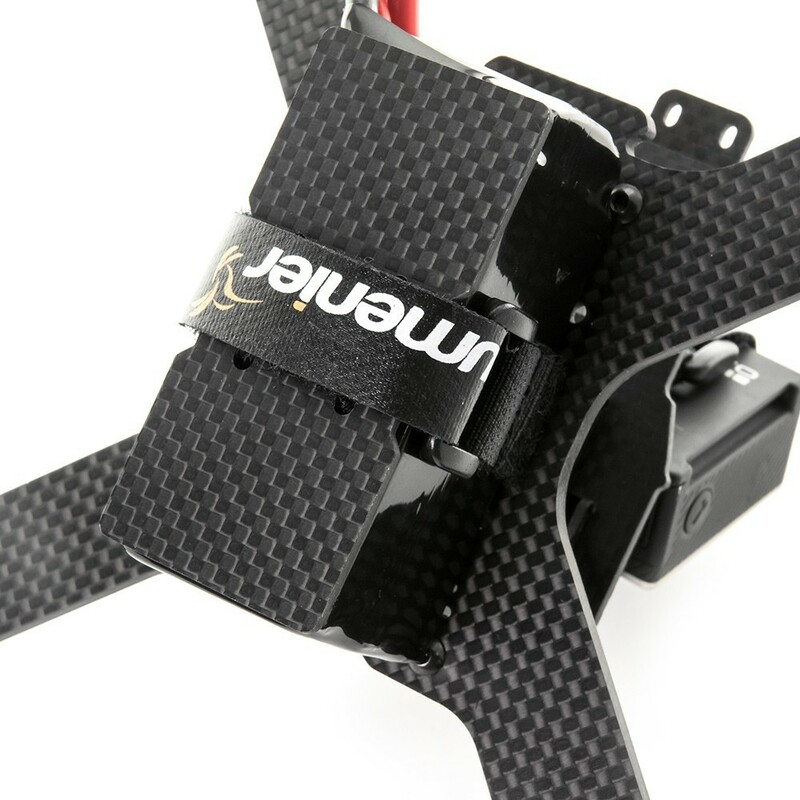 Included with the QAV-X CHARPU kit is the popular Lumenier 4Power power distribution board which can be fitted with an optional Pololu voltage drop-down circuit (to 12v or 5v), and a XT60 pig-tail. 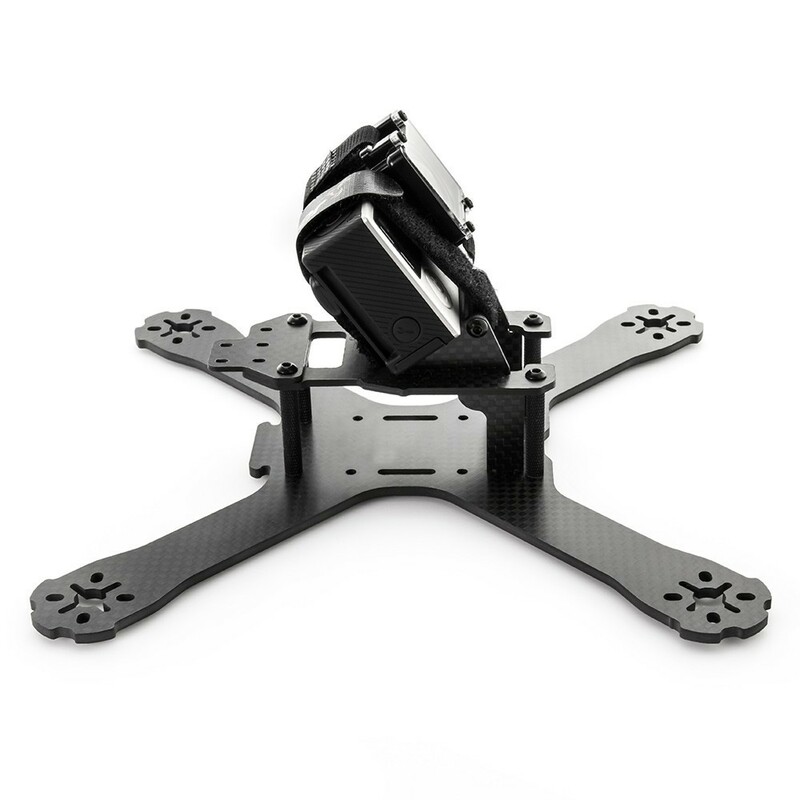 Like the QAV210/180, the QAV-X kit enables mounting of small FPV camers such as the Lumenier CM-650 in a fully encased assembly which protects the FPV camera during crashes and enables pointing the FPV camera at a wide variety of viewing angles. Easy grip black anodized spacers. Included Lumenier 4Power power distribution board and XT-60 Pig-Tail to power ESCs and FPV flight electronics. The PDB can optionally be outfitted with a Pololu 12V Step-Up / Step-Down voltage regulator or Pololu 5V voltage regulator (Pololu board not included). Support to carry HD camera at 35 degree angle(such as the GoPro 4, Xiaomi Yi, etc). The QAV-X is designed to fit up to 5" propellers and comes in 2 versions. 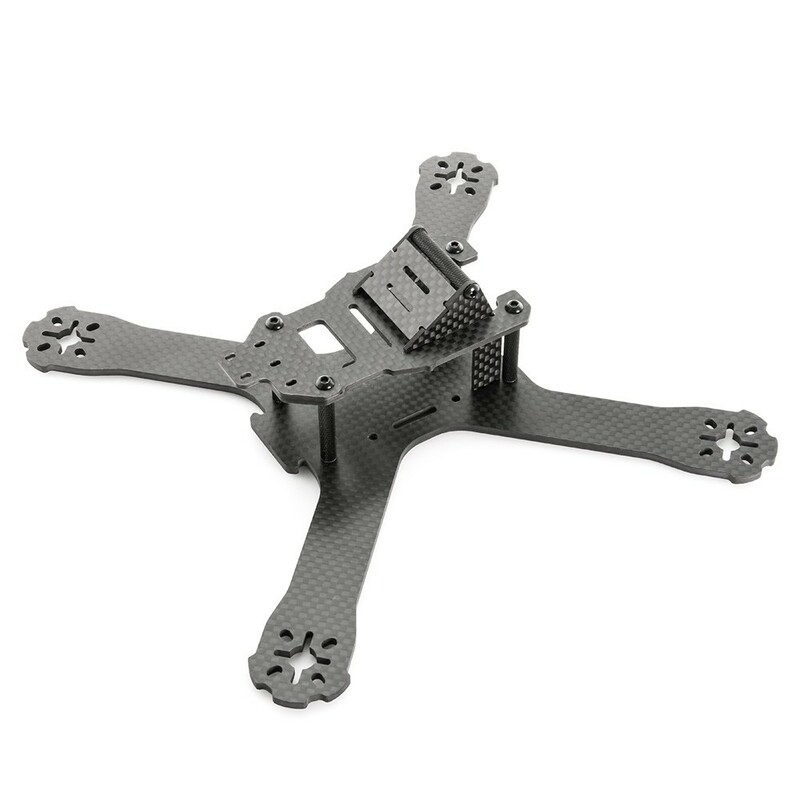 The standard, light-weight version is the Lumenier QAV-X CHARPU FPV Racing Quadcopter 3mm, and this the 4mm version is for those looking for maximum strength and durability.